Situated in Forrestfield, this cabin is within 12 mi (20 km) of Ascot Racecourse, Optus Stadium, and WACA. Hyde Park and SCITECH Discovery Centre are also within 12 mi (20 km). Positioned 14 kilometres to the east of the centre of Perth, the state capital, you can reach the interesting district of Forrestfield. Nobody's visit to Perth can be considered complete without a day at the Kings Park and Botanic Garden and Swan Bells Belltower. Keen to check out the cafe culture in in Forrestfield? Whether you're catching up with mates or just relaxing in a comfortable corner with a good book, you can't go past Coffee & Curry Club. No matter how hard we try, our bodies can't keep going on caffeine alone. Peruse the menu at Wattle Grove Motel when your belly starts to growl. Ever noticed that you tend to get thirsty as the sun starts setting? A few hard-earned beers at Hale Road Tavern is the perfect way to cap off a long and memorable day. 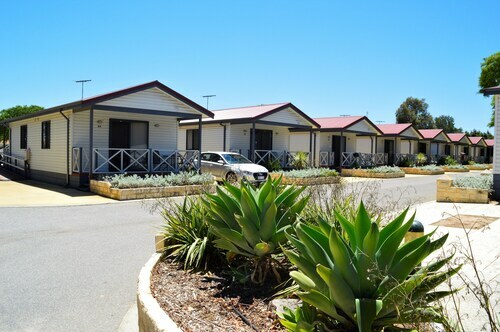 It is worth thinking about booking accommodations in Wattle Grove or High Wycombe when researching your holiday in Forrestfield. Wattle Grove is 3 kilometres from Forrestfield and High Wycombe is about 4 kilometres away from Forrestfield. From flights to accommodation, car hire to activities, Wotif is here to make your Forrestfield daydreams come true. 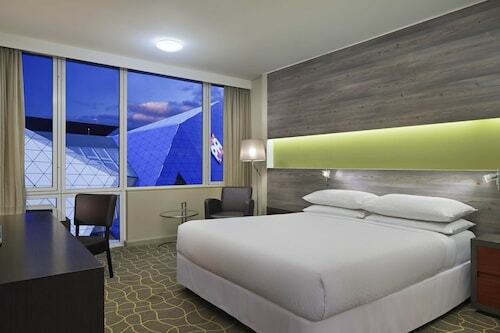 How Much is a Hotel Room in Forrestfield? Hotels in Forrestfield start at AU$95 per night. Prices and availability subject to change. Additional terms may apply.